Sustainable Bees – Keep On Keeping Bees! Tired of climbing ladders and trees or using bucket poles to catch your swarms? Make and keep a Swarm Scion! The Russian Scion (stick or post) is a great tool for collecting swarms from your own bee yard. Let’s face it – sometimes swarms happen in spite of swarm control measures. The natural reproductive instincts of the bees are always present so sometimes you have to go with the flow. Swarming behaviors vary – for example Russian bees are more swarmy than Italians. As a comparison unmanaged Italian bees may swarm three times a year – Russian bees seven times. Whatever method you use to build a scion you can bait it with a frame of comb or just coat the under-roof section with propolis and wax. For a final touch mount a motion detector on the pole to alert you when a mass has arrived on your scion. The Chamberlain Motion Detector can also be used to alert you when skunks or other animals are bothering your bees. Tonight, Sept 6, 2018, I will be speaking at the Bridgeport (Texas) Bee Club meeting and giving a presentation on Trap Outs. There are many pros and cons and lots of tips and techniques that I will share, but I wanted to make a quick note about this and post a link to Whimpy (Cleo) Hogan’s excellent description of his trap out box (also sold by Kelley Bees as the Swarm Harvester). With kind thanks to Whimpy Hogan of Park City, Kentucky! My friend Dr. Larry Connor always says the best time to graft queen cells is when the black locust is blooming. I thought I would miss that unique signal now that I have moved to the western edge of those ecoregions that support pseudo acacia (commonly known as black locust). But as luck would have it I found a single grove of black locust here in Wise County, Texas, about 40 miles northwest of Dallas Fort Worth metroplex. Immediately I called our local Master Beekeeper candidate (Donnie John) to show him and he was as excited as I was! There is nothing like standing in a grove of blooming black locust. The look is dreamy, the aroma is heavenly, and the bees are loving it! 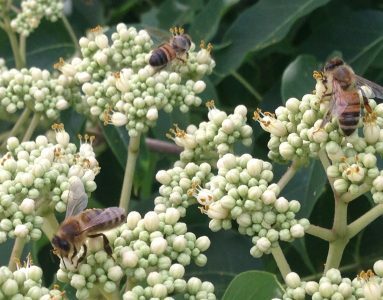 Keep an eye out for this blossom as the honey gets top ratings in most blind taste tests. I just posted some new info under Cool Tools (Resources) you may find useful. Many beekeepers believe queen rearing is a very technical and difficult process. Actually it is easier than you think. There are a lot of good ways to do it. Harvesting swarm cells in the springtime is one way, but to be in control of the process and get queens when you want them, the beek has to intervene & get the bees to do it on command. Moving the queen out of a strong colony by forming a nuc and keeping her in it is one way to get the bees to go into emergency queen rearing mode. and team in 2014 at Penn State University. Sometimes it is called cell scraping. The team there figured out that beekeepers can get direct access to newly hatched larva for grafting by scraping the wax off of black plastic foundation. This really works, but I would like to offer some tips on the procedure. Rite-cell black foundation from Mann Lake is my favorite because the plastic cell bases are a little deeper than that of other manufacturers. Newly drawn comb on clean foundation works best. When I am ready to make queens I find the queen and put her on the target frame and put a rectangle of #5 hardware cloth over her. This allows the workers in and out but keeps her confined to the target area for egg laying. This frame is kept in the center of the brood nest where she has been laying. 3 1/2 days later I come back and remove the frame. Taking the frame to a safe place I scrape the wax off cells leaving the larva (of exactly the right age) which can be scooped up quickly and deposited in queen cups (conditioned in advance in a hive). Keep a damp cloth over the cups and work quickly to keep the larva from drying out. The cell frame is then placed in the cell builder hive for the initial build. One day later the frame is either: 1) moved to a cell finisher colony or 2) the hive is converted to a cell finisher by removing the solid panel from the Cloake Board. Bees tend to tear down capped queen cells over time if they are not protected or moved to an incubator. An inexpensive chicken egg incubator works well. Frazier, Nino and Grozinger outline many of the details of the cell scrape graft method in “Grafting” , on pages 38 & 39 of Bee Culture Magazine, February 2015 edition. For more encouragement in making your own queens be sure to read this Scientific Beekeeping article: Queens For Pennies by Randy Oliver . I have heard Samuel Ramsey speak at several bee conferences and his work may prove to be the key to fixing the varroa problem. He spoke last night at Susquehanna Beekeepers Association meeting and while this video is not the actual presentation the following is a quick overview of his topic. His full presentation is particularly interesting because Sam’s tip off that something was not right came through his Grandmother! Thanks to my friend Todd Cichonowicz at Deer Creek Apiaries for the info.